Now, you can integrate your email conversations from Gmail straight into your real estate CRM records. Never lose a conversation! With a very large portion of real estate agents using Gmail, it only made sense to spend some time integrating Gmail conversations into Wise Agent. Once activated it allows you to see all gmail conversations, even from the past, on your contact summary page. By far one of our favorite and most used add ons is the Chrome Gmail Extension, this one is a big time saver! 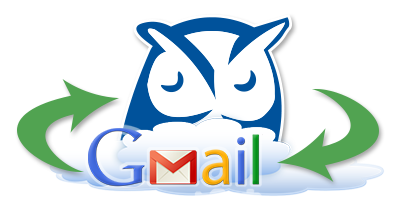 Once installed it adds an “Add to Wise Agent” button at the top of your Gmail. If you use GMail, now you can view and save your email conversations right from your Contact Summary pages in Wise Agent! Wise Agent is proud to have a deep API integration with Twitter. Many Realtors have found that using twitter for business can really be a powerful tool. This integration can be found at the bottom of each Contact Summary page. As soon as a new lead comes in the name and email are cross-referenced in Twitter. If we find a match, it is immediately linked to your Wise Agent account. Wise Agent includes a social media enhancement that will search and immediately return any social media profile information including an image that is found using the contacts email address. This enhancement will happen automatically for all new leads being added to Wise Agent. Many times, a new lead will come in as a partial lead with no information other than an email address. Within seconds, Wise Agent is able to add a picture, first name, last name, company, job title, city, state, and provide links to the social media networks the lead email is connected with. With many Realtors organizing every part of their real estate business in Wise Agent, they end up spending a lot of time in our real estate CRM. Several agents suggested that it would be nice if they could have access to the latest real estate blogs from within their real estate CRM software. We listen to our members, and now you can pull in and view any RSS blog feeds you like to read right into your Wise Agent dashboard. This can be used as an awesome real estate marketing tool too, because you can also pull daily blogs your clients may find valuable. Providing real value in your communications with contacts will help set you apart as the expert for all their real estate needs.